Earlier versions of Hadoop does not support Java 8. But this advanced level of Hadoop 3 supports Java 8. All the Libraries in Hadoop 3 only supports Java 8, Which means now it is necessary to Learn Java 8 for Hadoop Developers. (Java + Hadoop Training Program). If you are still using Java 7, then it is recommended to update it to Java 8 version. HDFS Erasure coding is the new important feature of Hadoop which is also a trend among Data Growth Centers. Erasure coding is the latest RAID(Redundant Array of Inexpensive Disks) technique recovers data automatically when the hard disk fails. In Hadoop 3 Erasure coding can reduce storage cost up to 50% compared to 3X replication while maintaining better durability. Erasure Coding is the overhead in the reconstruction of the data and used for storing less accessed data. Before deploying the HDFS Erasure code, Users must consider all the overheads like Storage, Network and CPU overheads of erasure coding. Hadoop Shell Scripts have been rewritten in Hadoop 3 for fix many bugs, solve compatibility issues and made some changes in Existing installation. Hadoop Shell Scripts referred as build paths that allow Hadoop developers to add more build directories. Hadoop Shell Scripts now allow executing Hadoop-env.sh file which allows for all environment variables to be one location. In earlier Hadoop version 2.0 shell scripts error displayed to the user, and In Hadoop 3.0 shell scripts rewritten that scripts report the error messages in the better way. In Hadoop 3 new shell script debug option would report all basic information on the construction of the variables, classpath, java options, etc. One of the best features in Hadoop 3, It supports the multiple name nodes to provide additional fault tolerance but Hadoop 2 does not support more than two name nodes. In Hadoop 2 Fault tolerance is limited to as HDFS could run on single name node. 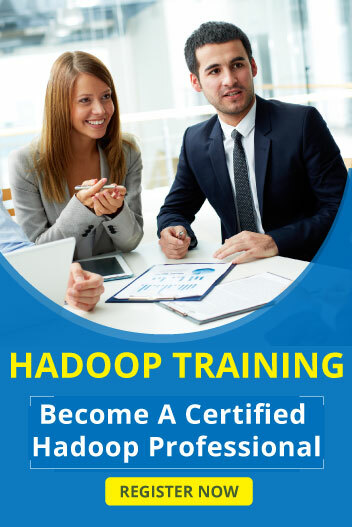 In Hadoop 3 this limitation addressed to enhance fault tolerance in HDFS. It supports long-running services with the need for YARN infrastructure. This is the best isolation for Disk, Network, Docker Opportunities, and elasticity. This is new implementation and improves reliability in before YARN Services V1. In Hadoop 2.0 single data nodes manage multiple disks and Hadoop 2.0 write operations data is divided into evenly so disks filled up evenly. But Hadoop 2.0 write operation when adding or removing any storage spaces some skews error occur in the DataNode Disks. In Hadoop 2 this error not handled by HDFS balancer. In Hadoop 3 Intra-DataNode Balancer handles and fixes the errors while adding or removing more storage spaces in disks. This also important feature of Hadoop 3.0. To avoid bind errors, the default port number of Namenode, Datanode and Secondary Node moved to KMS Linux ephemeral range (32768-61000). In Hadoop 3.0 this feature introduces for enhancing the reliability of Hadoop Clusters. Hadoop 3.0 is major and best Big Data Development Milestone. Above listed Hadoop 3.0 features and enhancements incorporated of Hadoop Common Distributions. There are more features and enhancements announced on part of Hadoop 3.0 beta. As we already discussed because of these types of various updates and features Hadoop is the evergreen trending technology in IT field. Learning Hadoop with Core Java will help you to get a number of Job Opportunities. One of the best features in Hadoop 3, It supports the multiple name nodes to provide additional fault tolerance. This YARN service is the best Improvement in Hadoop 3.0 related to YARN works. In Hadoop 3 Intra-DataNode Balancer handles and fixes the errors while adding or removing more storage spaces in disks.